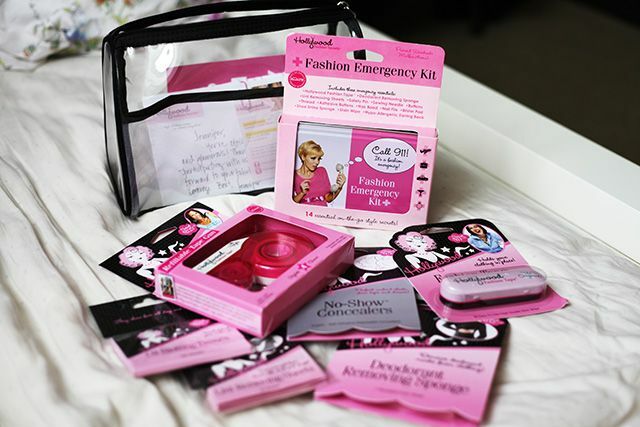 In preparation for my fashion week adventures earlier last week, Hollywood Fashion Secrets sent me a bag full of emergency fashion gear! The star of the collective gear was their newly released Tape Gun, which dispenses fashion tape that solves your last minute fashion emergencies. It's different than the usual fashion tape since you can choose the length you cut off! For example, if you need to fix a hem, you can use one piece of tape, all the way around! Personally, I used it to keep my sweater strategically tucked into my skirt without it falling out. I also felt like a little badass whipping it out to save the day. I need of those. Love the colour of the kits too. Thanks for posting the photos and feel free to drop by me too when you have time. Just remember to take the backing off the tape for optimum use (cough Haley cough)!